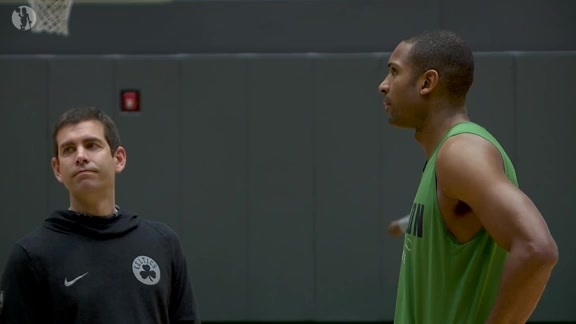 BOSTON – On the night before their head-to-head matchup at TD Garden, Celtics coach Brad Stevens and Heat coach Erik Spoelstra both found themselves glued to a television screen – Stevens at his home and Spoelstra in his Boston hotel room. They weren’t reviewing film for the next evening, nor were they observing other NBA games around the league. Instead, they were locked into a different sport, as they watched Tom Brady lead the New England Patriots to yet another miraculous berth into the Super Bowl. As two men who are striving for perennial prosperity in their own sport, Stevens and Spoelstra could both appreciate the unapparelled success that they were witnessing as the Pats earned their ninth trip to the NFL’s biggest game in the past 18 years. “It was amazing,” Stevens said ahead of Monday night’s tip-off. “I think being in this and knowing how hard it is to win a single game, I was telling my son, 'You know, you're living the '60s Celtics, the'60s and '70s UCLA (men’s basketball team).' That's the kind of thing we’re talking about with what the Patriots have accomplished." Spoelstra, who coached his own team to four consecutive NBA Finals appearances from 2011 to 2014, says it was unlike anything he has ever witnessed. “You can’t even write a script for that,” said the veteran coach. “You get into the last two minutes and watch greatness and excellence like that, it seems like you’re watching a rerun to a movie under the highest stakes, pressure, all those things. Despite coaching in an another sport, there are still teaching moments that both Stevens and Spoelstra can take away from Sunday night’s AFC Championship and carry into their own locker rooms. 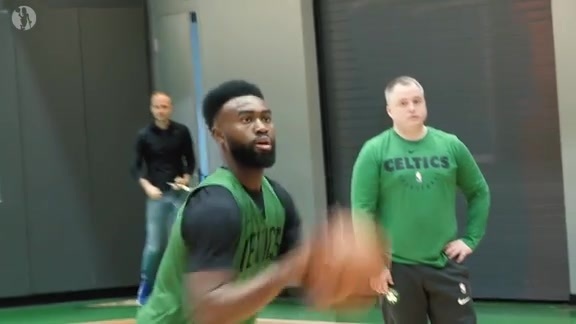 Both Stevens and Spoelstra aim to channel that type of approach on the hardwood Monday night as the Celtics and Heat battle it out at TD Garden.